Hi my dear friends! Today Design Birdy and I are representing unisex baby jeans – knit up quickly. You know it is very comfortable for children to wear knitted trousers, but parents like to dress their children in jeans. That’s why this combination of comfortable and fashionable is just the thing you need. The fun here is in the knitterly details. The jeans are constructed of two mirror-image pieces, one for each leg, joined in the center. 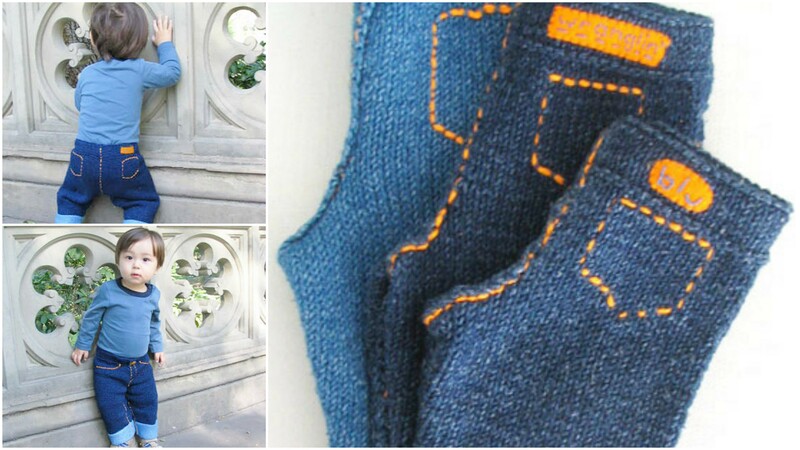 The cuffs are knitted in a lighter shade of true denim yarn to mimic the wrong side of denim twill fabric. This knitted ones looks like as real jeans. You can share this project with your friends. The whole article is under the text. Good luck to you and enjoy with pleasure of good knitting.